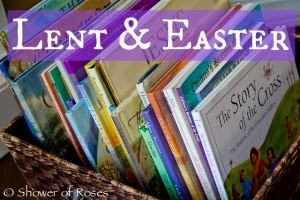 I had been hoping to compile an updated list of Catholic Easter Basket Ideas and Easter Symbol themed gifts, but I haven't had a chance yet and Easter is quickly approaching! 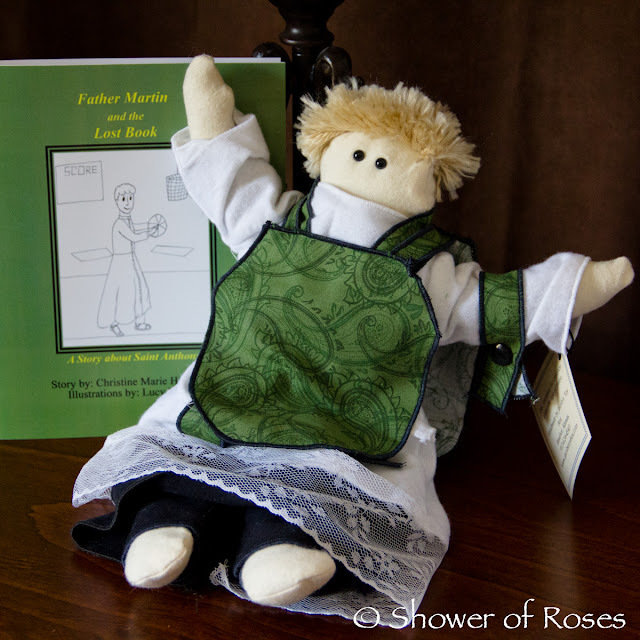 I haven't finished my own Easter shopping quite yet, but I did want to share a precious little rag doll from Jacob's Toy Box that one of my little guys will discover in his Easter Basket this year: Father Martin with his vestments and story. Isn't he great?! Not only is he soft and cuddly (um... can you say that about a priest doll?) - perfect for my little toddler - I love the traditional cassock (over pants) and vestments (including an Alb, Cincture, Maniple, Stole and Chasuble)! Now I can't decide if he is going to end up in Snuggles or Bud's basket this year... And I'm sure Rose would love Sister Marie... 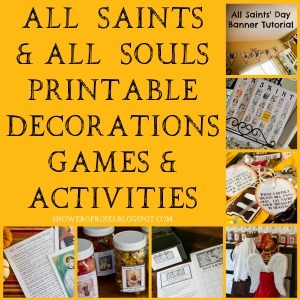 But, I did order Hand-painted Bookmarks of their Patron Saints for the 5 oldest, including Snuggles, and plan to complete a set of blocks for Rose (which I still need to get going on), so perhaps he should go to Bud... What do you think? "I started this business last summer--2012. It has been a rough couple of years--In 2010 I was diagnosed with a terminal pregnancy--My daughter had trisomy 18-- a fatal chromosome defect. We found this out at 24 weeks, and of course we didn't terminate the pregnancy. She died at 27 weeks. Those were a few tough weeks. 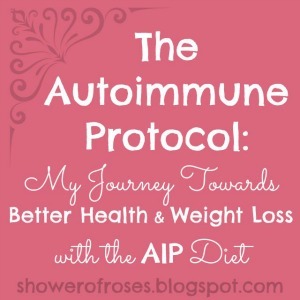 Knowing that the baby inside of me wouldn't live. After she died I started a home-based fresh flower business and it did pretty well. Then, surprise! At the end of 2011 I found out I was pregnant again. We were so excited--but scared. (Back and 2009 I was told by a medical specialist that I would never be able to get pregnant again--I proved him wrong!) The OB doctor watched me like a hawk--everything was going smoothly. Then when I was 32 weeks had a stress test/ultrasound on a Wed.--Jacob, our son, looked fine. On Friday I only noticed a bit of movement in the morning. Called the doctor that night and he said not to worry. Things had looked fine a couple of days ago. Saturday morning I still had not felt him move. The OB had me come into the hospital. Jacob had died. They were unable to determine what caused his death--he looked perfect! This experience made me want to focus even more on my family and doing flowers I felt was taking too much time away. 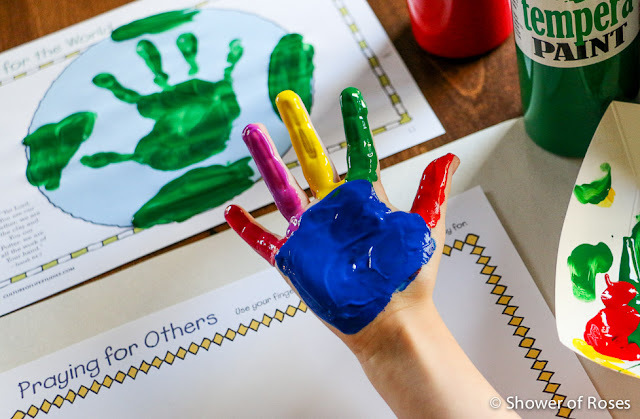 But, I wanted to be doing something and have enjoyed crafts in the past. My husband, kids, and friends encouraged me to start making and selling these toys.--thus the birth of Jacob's Toy Box. By the way, we are a homeschooling family too. My oldest is a senior and my youngest in kindergarten. My husband and I have been married almost 20 years." I was very touched by Christine's story, and my heart aches for her as I know all too well what it is like to lose babies... What a special tribute she has created for her little son with Jacob's Toy Box! "Oh--just a funny story about one of your brother-in-laws--When Fr. J. G_____ was at our parish, I went into the confessional to receive the sacrament. The voice of the priest sort of sounded like our priest but not quite. I asked the priest "Are you Fr. G____?" His reply:"I am A Father G____." I sure do love supporting Catholic businesses and families when we can. 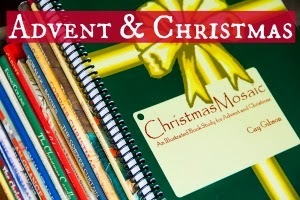 Some of my favorite gifts for our children have either been handmade by creative and talented Catholics like Christine! 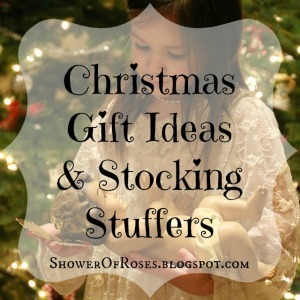 These gifts are treasures for sure, and things you just can't find at those big box stores or websites! If any of you would like to place an order, you will need to do so no later than March 25th for Easter delivery! These sweet dolls would also make excellent First Communion Gifts, in addition to the other suggestions I posted last year. 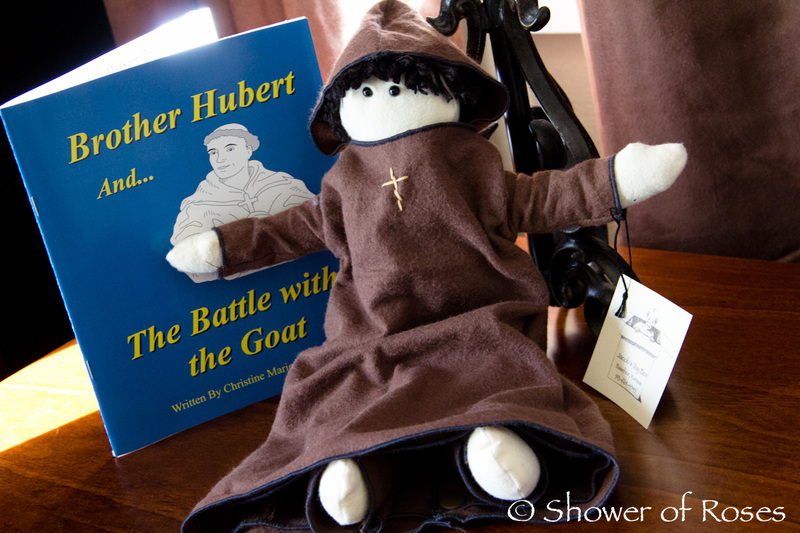 Christine has also generously offered to give a Brother Hubert Rag Doll and Brother Hubert and The Battle with the Goat to one of my visitors here at Shower of Roses! He even has a tonsure! I love it!! He is definitely going on my "wishlist" for one of my little boys! 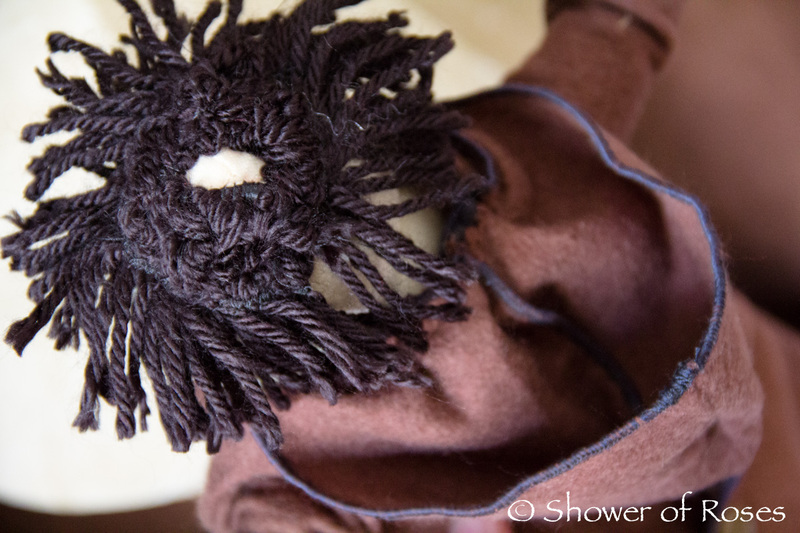 Click on over to Jacob's Toy Box and check out all the adorable rag dolls created by Christine and then leave a comment on this post, telling me which is your favorite, before Midnight (PST) on Saturday, March 16th. 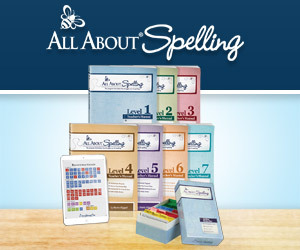 Be sure to leave your email address, or have it linked in your profile, so that I am able to contact the winner. I will update this post with the lucky winner on March 17th, St. Patrick's Day! BONUS: Share this giveaway on either your own blog or Facebook page and come back and let me know that you did by leaving a second comment for an extra entry! 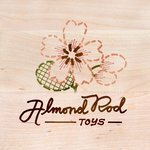 Like Shower of Roses and Jacob's Toy Box on Facebook for a third entry! Be sure to leave a comment for each entry since they will be numbered for use with a random number generator to determine the winner. And before you go, I wanted to add a little prayer request... 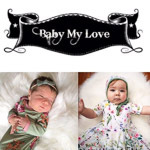 Please click over to Kirsten's blog, Sonlight Garden, and let her know you are praying for a miracle for her own beautiful baby. I liked Shower of Roses and Jacob's toy box on FB!! I also shared the giveaway!! I like both of your pages on Facebook! Pick me! Pick me! Pick me! That little monk doll is awesome! The priest is pretty darn cute too, don't think I could pick a favorite of the two. Thanks for hosting the giveaway! I have previously liked Shower of Roses on facebook and now I liked Jacob's Toy Box on facebook. I like Father Martin best. I looked at the other dolls, I really liked the Nun Sister Marie doll!! I love the little nuns! God bless her! I have a daughter who's a religous sister at The Sister Servants of the Eternal Word, so I really like the sister dolls. Thank you for sharing this story. liked on facebook, both pages. I *love* the Sister Marie doll--her red hair is spunky! While I only have boys, I think my 2 year old niece would also love it. Do I really have to pick just one? :) I love the traditional vestments but that roman collar is too cute on a doll. And the lovely sister... no, I love them all! Thanks for sharing these! The Father Martin doll is so sweet as is the Sister Marie doll. 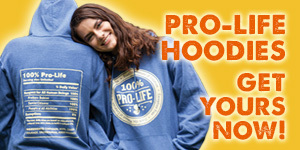 What a great way to increase vocations! I just looked at all the dolls, but "Sally" stood out the most - then I read her description - "Her favorite foods are pizza and macaroni and cheese." THAT IS MY YOUNGEST FIT TO A T!!!!!! Even looks like her!!!!! They are all so adorable!!!!! I've liked both your page and Jacob's Toy Box! I love Brother Hubert. He reminds me a bit of our Carmelite priest. My favorite one is brother Hubert!!! I love him!!!!!!! I like Fr. Martin. Super cute!! I love Fr. Martin! So adorable! God bless. The dolls are all so cute. I like Maggie best. Those are precious! I'd love Marie for my second grader receiving 1st communion or Martin for my sister's son Martin -looks just like him! So sad for her loss, I know her pain too. Prayers of comfort for her! You women are such an inspiration! 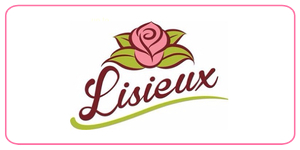 Thank you for sharing about Christine's company - I look forward to ordering from her in the future! I think my favorite is The Priest, but The Nun comes in at a close second! I like your page and Jacob's toy box on facebook! It's a small world sometimes in our church. I was looking at the post you linked with the first Mass and first Holy Communion. My 16 year old son was here and I was trying to figure out what order they were. He said, "Carmel? Nebraska? It's FSSP Mom." Then he recognized one of the priests from the summer camp he attended this past summer. It always amazes me how we are so connected in this faith. It is truely a gift. God bless. 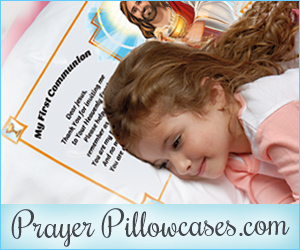 I clicked over and was very happy to see they also carry nun dolls for little girls. I might just have to get one for my daughter. Hi, I just found it and love you blog. God bless you. 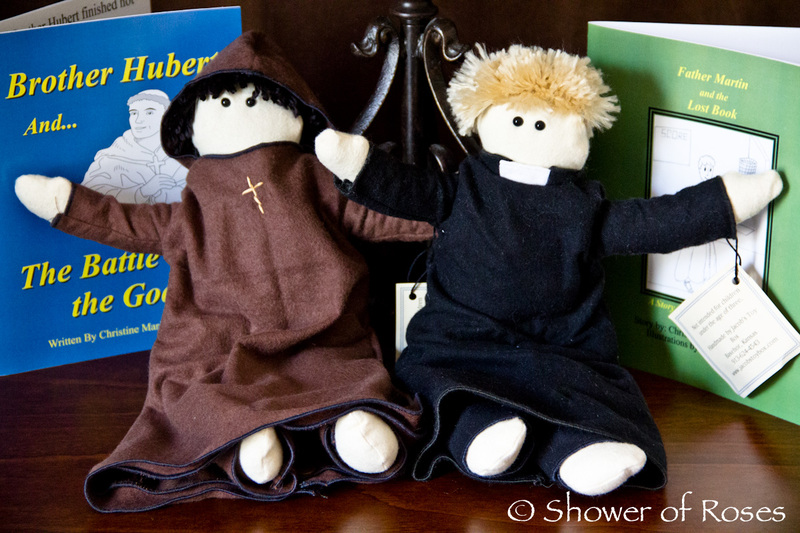 I love religious vocation dolls!! The part I liked the most was the set of priest vestments. They are so beautiful and traditional! Plus I could teach my son the different parts of the priests clothing. I couldn't believe the vestment set is only $12!! I liked both Jacob's Toy Box and Shower of Roses. I'm excited I'll see more updates now! 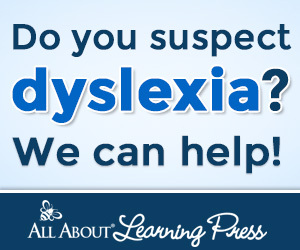 I shared this article link on Facebook! 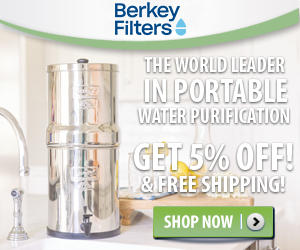 Thanks for sharing this great gift idea with us! Definitely Fr. Martin in full vestments. So beautiful. Those dolls are awesome! 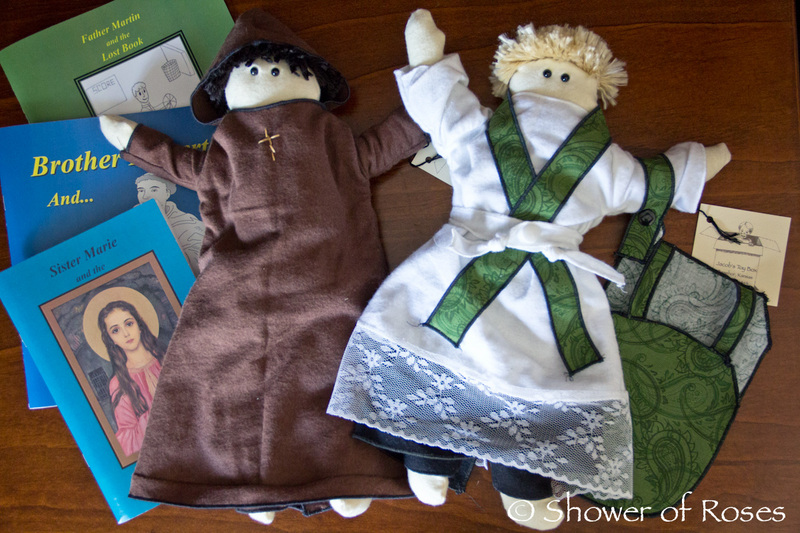 I love the priest doll with the Traditional cassock, and Traditional Vestments! I love her business, thanks for sharing it! 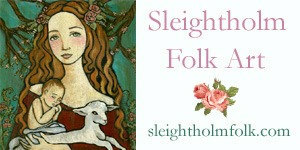 Thank you, too for sharing the beautiful story of how she began and named her business, very touching. Stories like this help others who our Lord allows to bear such crosses to know they are not alone. God bless you both for bearing the cross, and loving and trusting in our Lord throughout it all! They are all terrific! I would get the Br. Hubert, it is too cute to not get it. And my boys would love every piece of him. Shared on FB and google. I like the Fr. Martin doll. The nun dolls are cute, too. I shared the giveaway via FB and Twitter. I like both of you on FB, too. Oh, Jessica, you want me to pick one to be my favorite???? They are all way too adorable! Thank you for sharing, I have been looking for something like this! And God Bless, Christine. It is so hard to lose a baby but at least they are resting in the Father's arms with Mother Mary at their side, could you really ask for a better childhood. As much as I miss my tiny saints, I am thankful that they have only known perfect love and peace and take comfort in them praying for us still here in the Church Militant. I will keep her in my prayers and her business on my favorites. How funny that your brother-in-laws are her priests. Small world! Thank you for sharing. 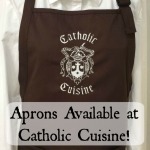 I am always on the lookout for items to foster vocations and the love of our faith. I also love supporting other moms who are sharing their faith and talents. Jessica: Just shared the giveaway on my facebook page. My favorite by far is the Priest with vestments. What detail! Every single one of the dolls on her site are precious! I also LIKED both sites on facebook. Thanks again! I really like Brother Hubert with his tonsure but I also like the vestments for Fr. Martin. These are too cute! I am so impressed by you ladies that have so much talent! Thank you for sharing with us! They are all great, but I am kind of partial to Sister Marie. love the priest ragdoll with the traditional vestments. shared on my blog via friendfeed. They are terrific. I'm partial to the spotted dog. But my favorite is the priest and vestments! They are all beautiful! brother Hubert is pretty cool though! Beautiful dolls! I am partial to Brother Hubert, though, but it's a tough choice. 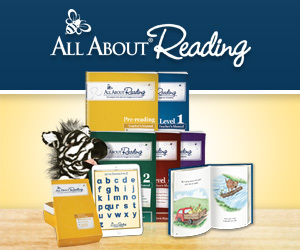 Thanks for directing us to such a good resource for gifts! Love Fr. Martin! Thank you! My favorite is Brother Hubert. Also, I'm praying for your friend, Kirsten at Sonlight. God bless her beautiful family! My 2 year old has a new cousin and she has inspired him to start playing with the doll his brothers always ignored. It's so cute seeing him grab a diaper or clothes and ask for help changing his "baby". 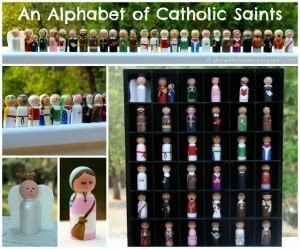 My favorite would be the Father Martin doll. I liked Shower of Roses and Jacob's Toy Box on FB! How sweet! I don't know that I have a favorite - I'd like at least one of each!!! But if I had to choose one, I think I would choose Father Martin. 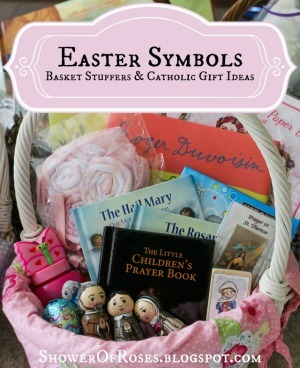 Thanks for the great ideas for my god children's Easter or Christmas gifts!!! Those nun dolls are sooo cute. Thanks for the giveaway!! 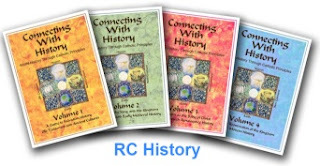 Thank you so much for so generously sharing all the Catholic links and information on your blog. 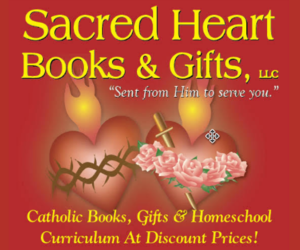 It is a wonderful resource for me for all things Catholic! It is so hard to choose just one, but Fr. Martin is my first choice. I think the priest is my favorite but they are all so cute!!!!!! Thanks for the opportunity! I like Shower of Roses and Jacob's Toy Box on FB! Christine's story is heartbreaking. I have lost 9 baby's and I know the heart ache each one leaves. I'm blessed to have 6 wonderful children, but I do morn my little angels. On Mother's day I spent the afternoon making 50 cards for the charity Feileacain (Stillbirth and Neonatal death Association Ireland) and today I have made another 50, they do such amazing work helping grieving parents. Love Fr. Martin for my 3 year old!! Love your blog! Love the nun doll for my little girl! Shared giveaway on my FB wall. Hello Jessica~ Thank you so much for sharing Christine's website AND story! Honestly, ALL the dolls have their own unique touch and I find them each simply adorable! But, if I HAD to choose, I would say, Fr. Martin because I absolutely LOVE ALL the beautiful vestments that she made to go along with him. I don't have a FB account, but I did tweet about it, if that counts! I love the priest with vestments doll! My son would love it! I like all of the dolls, but I like the nun dolls best, oh, and I think the tonsures are a nice touch! I pressed "like" on Facebook for both Shower of Roses and Jacob's Toy Box! Hi again Jessica! I posted a link to the giveaway on FB. I love the priest doll!! So sweet. I liked Jacob's Toybox on FB! I would love something like this to share with my boys. 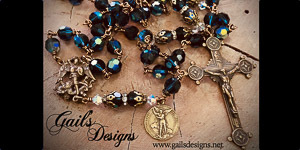 However I was unable to get on FB (I gave it up for Lent)! I "liked" Shower of Roses & Jacob's Toybox on FB! Thanks for the chance to win. I love Sr. Marie! God bless you. This is great I would love it for our little guy!!! These dolls are so sweet! I love Fr. Martin, but Sr. Marie is adorable too. 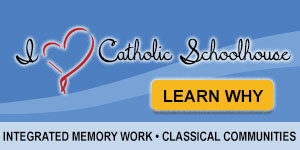 I really appreciate your letting us know about Catholic family businesses like this. 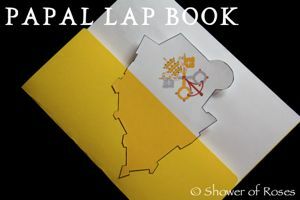 And thank you again for the amazing Papal Lapbook. 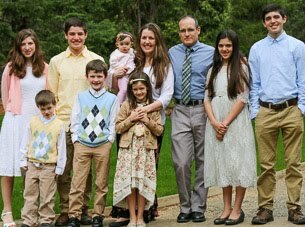 It has been such a blessing to our family. Love the Father Martin doll! Thanks for hosting this giveaway! Wonderful! Christine has been added to my families prayer list. Love that she named her company after her sweet saint in heaven. I love the Father Martin doll! I sew and craft things all the time for my daughter, but am at a loss on religious items for my 9 month old son, but this is perfect! God bless you and yours! Oh what a poignant story. Love that Christine named her shop after her son. Thanks so much, Jessica,for the chance to win! Sr. Marie is my favorite! I love them all but have a soft spot for Father Martin and his fiddleback vestments!